This adventurer and explorer certainly lived up to his words back in the 18th century when he set out on three voyages to the uncharted Pacific regions of the planet to initially record the 1769 transit of Venus across the Sun for scientific research onboard the HMS Bark Endeavour. The sheer excitement of his voyages across thousands of miles around this region captured our imagination in school classes at a young age, as we recalled the man and his crew, not forgetting his wonderful sailing ship that literally, put us on the map down here in New Zealand. It is a name very familiar to all of us, and yet is but a sheer glimpse to the life of a man who even outlived all of his six children to Elizabeth Cook. But that is his greatness and his doom that we mostly measure and recall. The sum total of who he was and what he did beyond the decks of the Endeavour show us more of the man and those aroun d him, and to that mind, both Frederick McKinnon and Tim Hunter have created and produced a three volume recording around a play they’ve written on this amazing explorer titled: “JOURNEYS: CAPTAIN JAMES COOK.” 2018 is an auspicious time to release these as they mark the 250th year of Cook setting out to the Pacific realms and of course the 239th anniversary of his fatal demise in Hawaii, 14th February, 1779 over a stolen cutter. But we’re ahead of ourselves. This is a mammoth task both Frederick and Tim have set for themselves, and make good use of the 3 volumed digital release to start off with Cook at 17 standing on a cliff overlooking Whitby Harbour in North Yorkshire contemplating a life at sea. The first volume covers the highlights of the arc of his life, including service in Canada with the British Navy and his relationship with his wife, Elizabeth, and following sojourns to the South Pacific. The other two volumes go deeper into some of his seaward adventures and also a change in perspective of those in Cook’s orbit who share their own feelings about him. Prog artist and fan, Tim not only plays the part of Captain James Cook he also provides guitar and keyboards throughout. Cook is a subject dear to his heart. “We’re very proud, in North Yorkshire, of James Cook, who spent the early years of his life here. Cook rose from humble origins to become one of the world’s greatest explorers. On his three great Pacific voyages, he re-drew the map of the world and paved the way for the peoples of Hawaii, New Zealand, Australia, French Polynesia and British Columbia to no longer live in global isolation.” The albums were released under his label Northern Soundscapes. Tim is also a member of Anglo-French group, ‘Silver Hunter’ who play Marillion-style Prog. He also aired the popular ‘ProgYes’ Radio show on Phoenix FM for two and a half years. 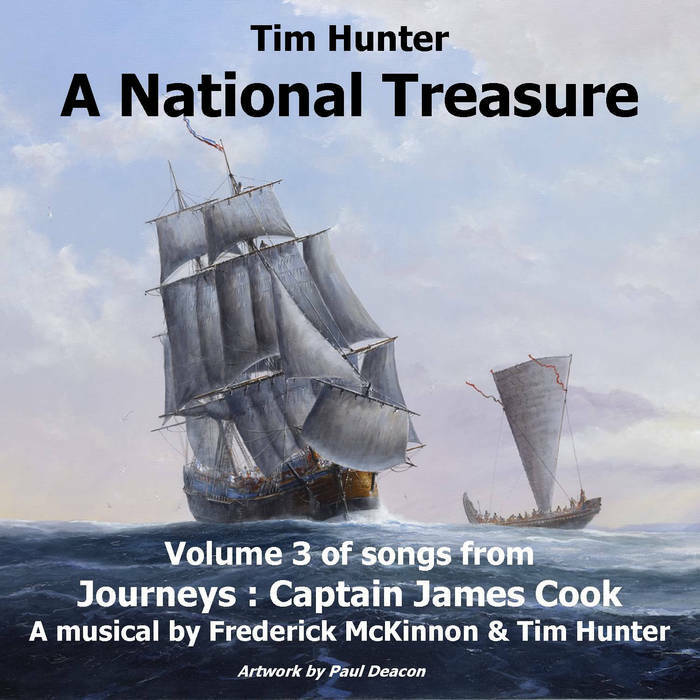 One of the interesting and memorable tracks from these albums is “Let Peace Prevail (In New Zealand)” which Tim sings as a relieved Captain Cook who has found a viable connection with the indigenous Maori and hopefully building a continued relationship between the two countries of Britain and New Zealand. Cook would be please to see this bonding has lasted all these centuries. London-based actress and singer, Sarah Lipman was cast as Elizabeth Cook and provides through her vocals a pivotal insight into her relationship with James. Two of the tracks from the first album focus on her coping without her husband and raising their family. “So Long Gone“: While James Cook is still away at sea, Elizabeth returns home after burying their baby daughter and reveals her emotions concerning her husband, who has been gone for two years and eight months. “I Am the Man I Have to Be“: Despite Elizabeth’s misgivings, James is about to leave on what would be his last great adventure. He and his wife sing a duet sharing their intimate, but sometime conflicting, feelings. Phil Smith as Lt. James Burney, and Phil Dean as William Hartwig complete the cast. 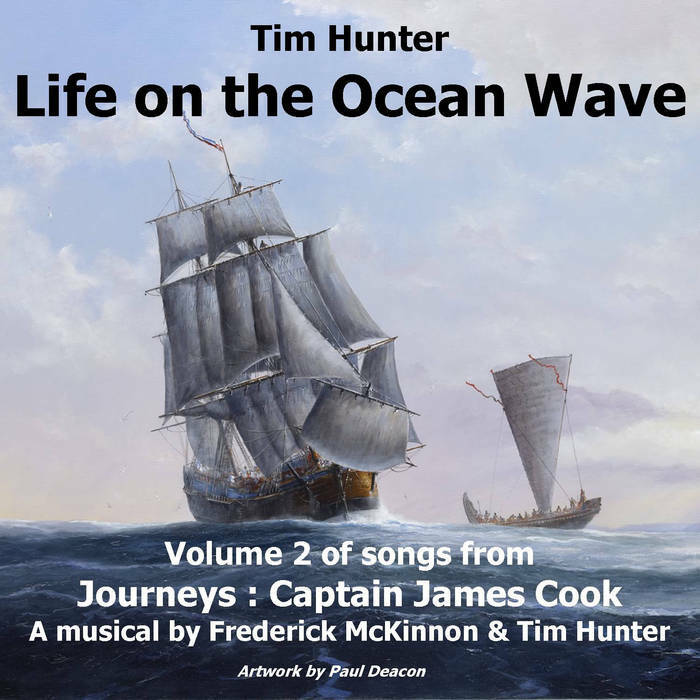 Tim also included in these production a whole raft of sound effects to capture the times and environment of a sea-going voyage and ambience of a play setting for your enjoyment. 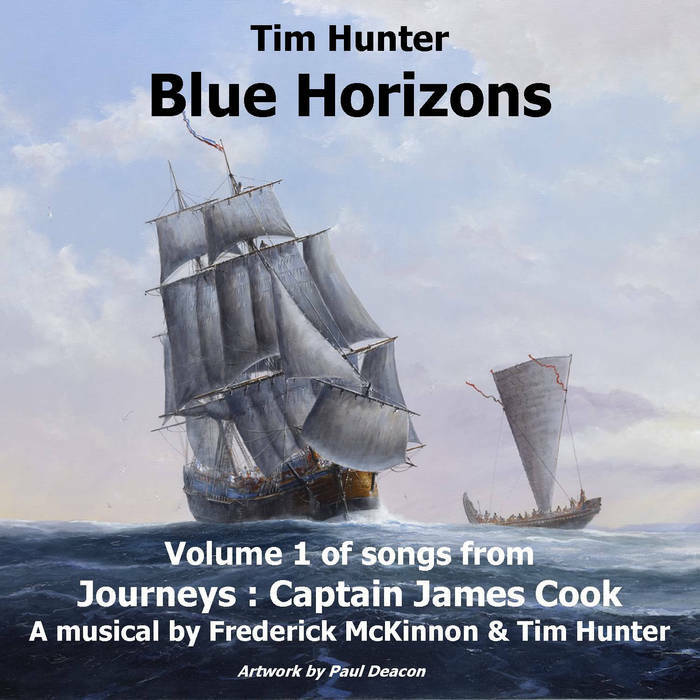 ‘Journeys: Captain James Cook is not only a historical labour of love for both Tim and Frederick towards the legacy of one of our most treasured explorers, it’s also their homage to the ever so humble concept album merging both play and Prog for your enjoyment. Cook once said, “The man who wants to lead the orchestra must turn his back on the crowd…” so here’s your chance to ride the waves of the Pacific Ocean with Cook and his crew who did turn his back to the crowd and sailed into eternity.